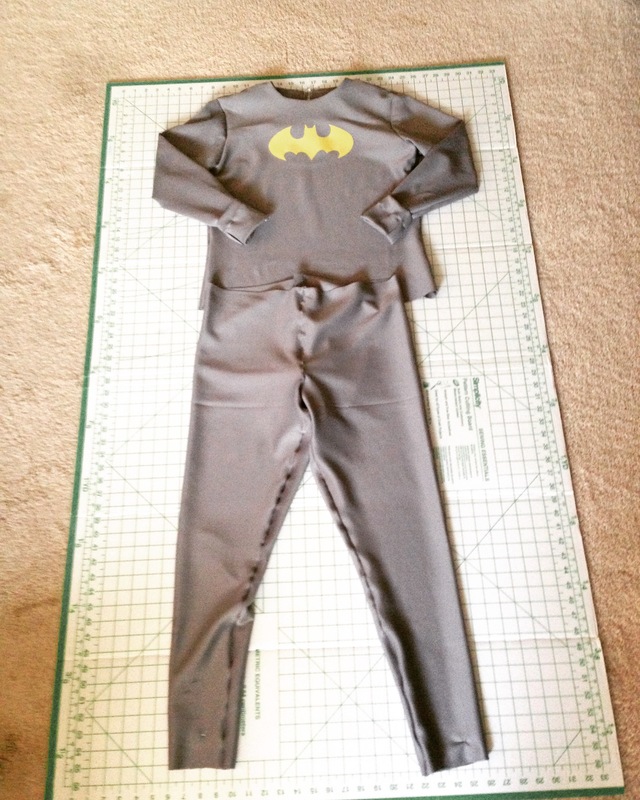 If you follow me on Instagram, then you’re well aware of my current work-in-progress: a classic Batgirl costume! Since I started learning how to sew, I have been waiting for the moment when I could make a costume on my own. At the end of September, after accumulating a number of Jo-Ann Fabrics coupons, I decided to get the supplies to begin my Batgirl transformation! So far, this costume has tested the little skill I have, but it’s also a wonderful learning opportunity; many of my sewing first are starting here with this costume. Ultimately, I would like to wear this costume for Halloween, but if I can’t get it done by then, I can save it and wear it to C2E2 2017. Now, let’s break down the progress thus far! I was a little apprehensive at the prospect of sewing with knit/spandex for the first time, but I decided that there’s no better way to learn than to JUST DO IT. 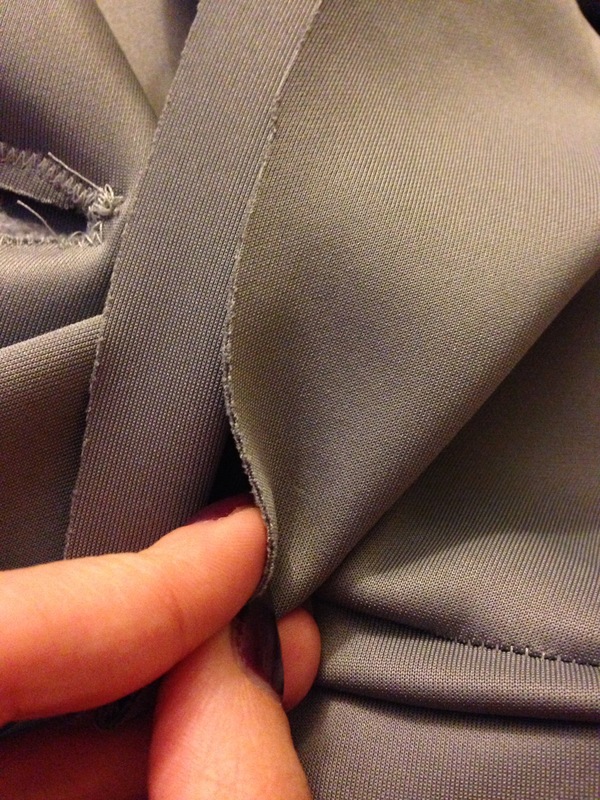 I found a silver-gray athletic wear style knit–which is more like a lightweight spandex–for the leggings and top of the costume. 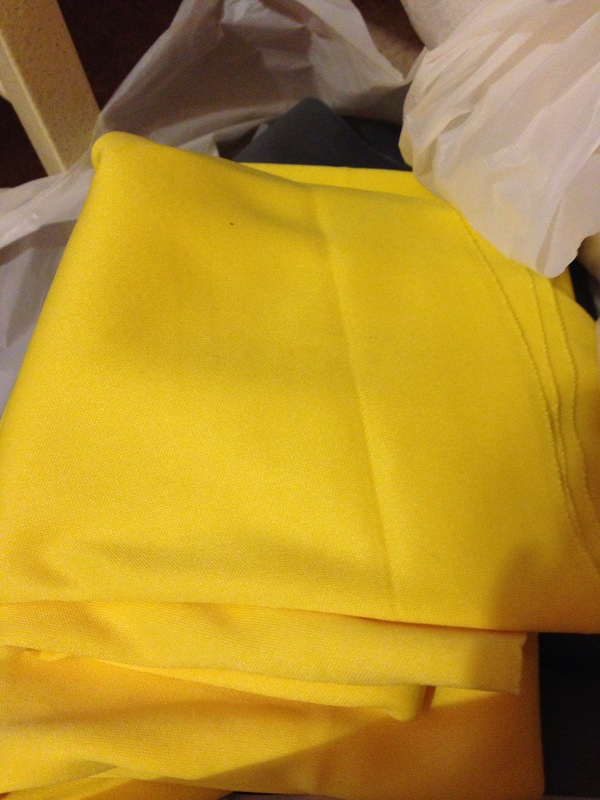 I also found a thin yellow knit to use for the Batgirl symbol, the gloves, and the fins on the glove. 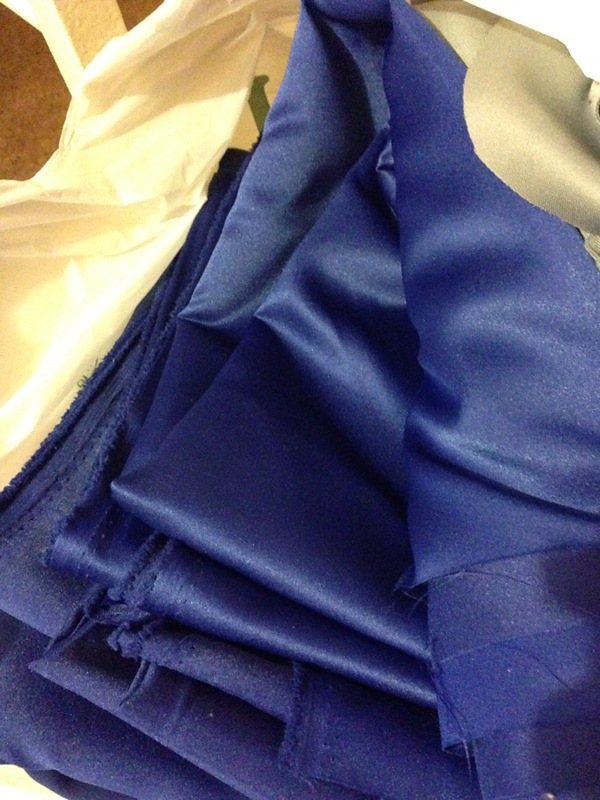 One of the ladies that works there pointed out this beautiful royal blue satin, so I grabbed some of that for Batgirl’s cape (I am both excited and terrified at the though of sewing that into a cape). Additionally, I’ve ordered some Angelus leather paint to coat a pair of black boots. Originally, I was going to buy a pair of Batgirl boots from a cosplay website, but I didn’t like the thought of shelling out $50 to get them. I had these black boots from a midnight premiere costume I made a few years ago, so I figured I’d repurpose them for Batgirl. I’ll also purchase some craft foam, PlastiDip, and spray paint for the helmet and utility belt. This project will be the first time I’ve made props and accessories in this way, so I’m definitely doing my research! 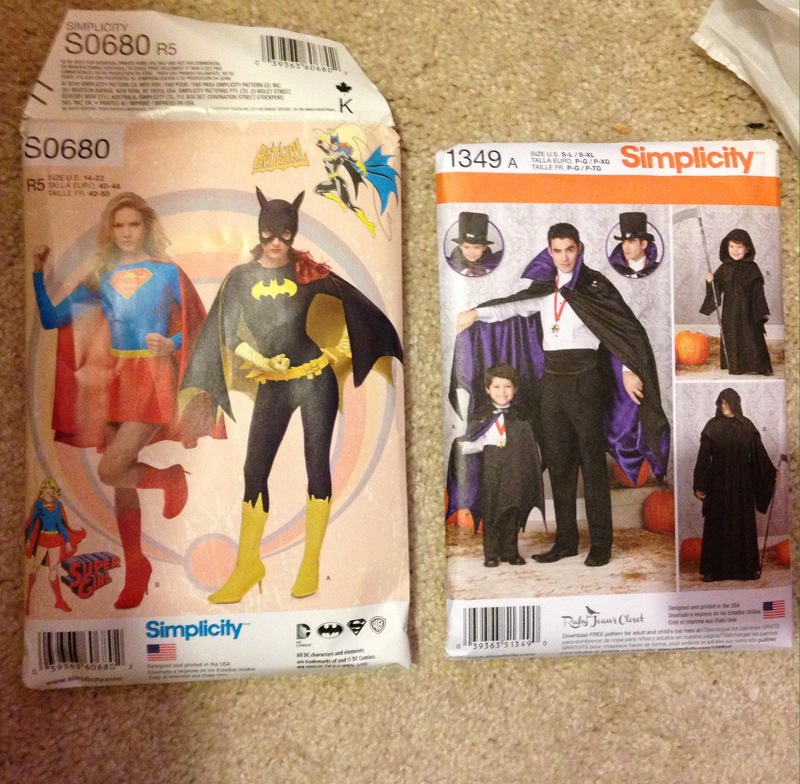 For the body of the costume, I’ve been using Simplicity’s Batgirl and Supergirl pattern (#1036) in sizes 14-22. I went to the next size up measurement-wise since this is my first big sewing project, and for the fact that I would be working with knit/spandex. I’m glad I did size up, because I’ve definitely run into a few sizing issues since I started. The pattern makes you break up the costume into a top and leggings, which I wasn’t too jazzed about initially. I would have liked to make a bodysuit, but I’m making it work. Thankfully, though, the instructions are more comprehensive than the last pattern I attempted. I would definitely be curious to try the Supergirl version to see how that would pan out. Plus, it’s a cute costume. The other Simplicity pattern I will be using is a cape pattern (#1349) in size medium. Since the Simplicity pattern calls for the alteration of a pair of evening gloves, I decided that it would be cheaper to make gloves from scratch. I found a very easy patter on Pinterest, and grabbed some scrap knit fabric to test out the pattern. With a little more practice, I think that the pattern will work out great! Like I said, I wasn’t too thrilled with the fact that the Batgirl costume breaks up the body into a top and leggings. My worry comes from my dislike of low-rise clothing, and I anticipated that the pattern would make the top and leggings in this way. After I sewed the two pieces, my fears came to fruition; though the top won’t be too bad once I hem it, the leggings are uncomfortably low-rise for me. Luckily, I have enough material to make a waistband, so I will add this on when I get the chance to do so. I didn’t like how short the cape was in the Simplicity pattern, and if you look at pictures of classic Batgirl, her cape is pretty long. The idea of using a different cape patter was brought up, so I got a vampire cape pattern to use. Though it has a tall collar, I’m going to try to transform that into a mock turtleneck, since Batgirl’s neck isn’t visible in this version. I’m also scrapping the pattern for the cowl to make one out of craft foam. After I laid out the pattern for the top and leggings, and cut out the pieces, I began on the top. 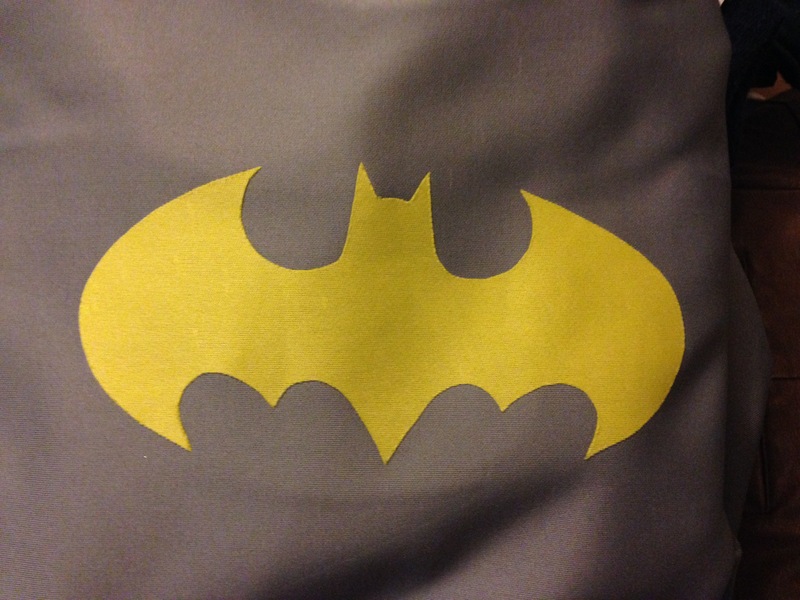 Adhering the Batgirl symbol was super simple, but I decided that I was too nervous to satin stitch around it, so later on I might edge it with dimensional fabric paint. Sewing sleeves was new, so my mom taught me how to do that. The sleeves still need to be hemmed, but it looks like a proper top! I was very proud with myself that I figured out how to sew the leggings, though after reinforcing the crotch and the legs, the legs became a little tight, and the seams are super bunchy. These need to be hemmed as well. For the most part, though, the body part is fleshed out! I’m still shocked at how nice the top and leggings look, and I have yet to run into any major issues. How long my luck will run has yet to be determined, but I’m thrilled with how it all looks so far. The next steps are to make the gloves, paint the boots, and fabricate the cowl and utility belt. Stay tuned for the latest news about Becoming Batgirl! And check out the progress I’ve shared so far over on Instagram and Twitter. 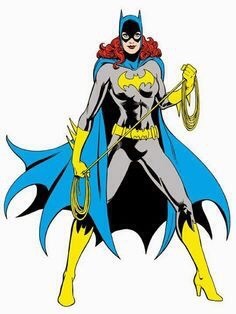 What do you think of my classic Batgirl costume? Will you be a superhero/villain for Halloween? Share below, and don’t forget to share online using #nerdiween! Thank you! I was thrilled when I found it. I hope it turns out okay because I don’t want to have to get more haha! Can’t wait to see it. I’m envious of anyone that can see! Looks like you’re doing great!! Well done for taking on such an ambitious project – I can’t wait to see it all come together! Good luck! Looks amazing so far!